Born on the west side of Chicago, Styngray displayed his talent at a young age by performing in hometown talent shows and experimenting with several musical instruments. 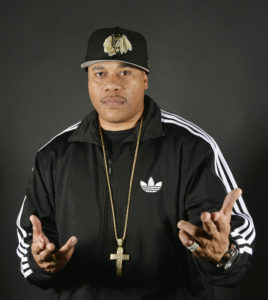 Hip Hop became the choice of musical expression and Styngray began performing at venues around the Chicago land area. Styngray has a sound that is rooted in the intensity and original love for Hip-Hop, which is then transformed into a charismatic stage performance second to none. Styngray’s determination and desire to succeed brought him to the mecca of Hip-Hop “New York City”, he arrived in NYC ready to work and made a name for himself and brand, showcasing at popular clubs such as the The Pyramid, The Remote Lounge, Club T-NY and M1-5 Club to name a few. Now in Atlanta, the buzz has expanded to the south, where he was a finalist in the showcase Who’s Got That Vibe hosted by Chicago’s own Da Brat, which led to a special request performance from Turner Broadcasting. Other performances include popular Atlanta clubs like Club Crucial, The Apache and The Ice Bar. Styngray has gained recognition for his music by receiving an award of honorable mention from the John Lennon Songwriting Contest for the song entitled “I Want You”. Also he has received major radio play and listener request from college and major radio stations such as Chicago’s Power 92 and 107.5 WBLS in NYC. The single Against All Odds charted at #2 in the nation on the college radio charts. The new single Til the Casket Drop is currently charting on the DRT top 150 for independents. 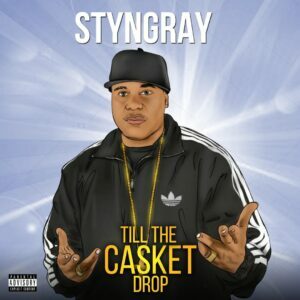 Styngray is a seasoned artist with a unique sound that is ready for the world and definitely an artist to be on the lookout as one of the next superstars in Hip Hop.